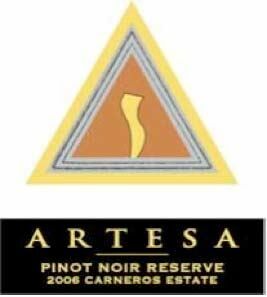 Artesa (ahr TESS uh) translates as craftsman in Catalan, the language of Barcelona, Spain and of Codorníu, the winery’s owner. The Codorníu family has been making wine since the mid-sixteenth century in the Penedès region of Spain, west of Barcelona. In 1872, the winery produced the world’s first méthode champenoise wines outside of Champagne, France. The new sparkling wine was called “cava” after the caves or aging cellars. In 1991, the owners of the Codorníu Group, the Raventós family, opened the Codorníu Napa sparkling wine facility on a 350-acre estate overlooking the Carneros side of the Napa Valley. Sparkling wine demand lagged in California thereafter and despite the $30 million initial investment, the decision was made to completely transform the sparkling wine production winery into a still wine producing facility able to handle numerous small lots of grapes, juice and wine individually. In addition, vineyard acquisitions were obtained in some of the best growing areas of Napa. Well-known winemaker Don Van Staaveren was brought in. The new winery and vineyard additions amounted to another $20 million investment. 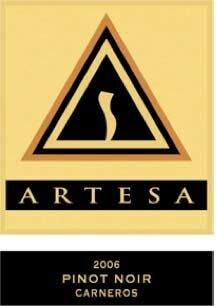 The Artesa Winery officially opened in 1997 with the release of the winery’s first still wines. 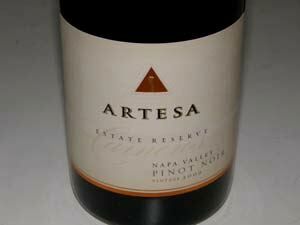 In 1995, Artesa hired Dave Dobson as vice president for production and winemaking. He had previously been in charge of the premium wines at Kendall-Jackson and most recently brought Rutherford Hill Merlot to much acclaim. Dobson instituted a number of improvements in the winery including new sorting tables and a technique known as "pump under" which saves labor and tends to soften wines. In 2009, Mark Beringer replaced Dobson. Beringer is a fifth generation winemaker from Napa Valley, the great, great grandson of Beringer co-founder, Jacob Beringer. He achieved winemaking notoriety at Duckhorn Vineyards before joining Artesa. In 2015, Beringer left to work at Beringer Vineyards and was replaced by Ana Diego-Draper, a Portuguese native. She had joined Artesa in 2013 after eight years at Ruthervord Hill Winery and is the first woman to hold the top winemaking position at Artesa. Artesa Winery produces multiple still varieties sourced from its 330 acres of vineyards in Carneros, Foss Valley Vineyards in the Atlas Peak AVA of Napa and the Alexander Valley AVA of Sonoma. The 150 acres of Carneros vineyards are devoted primarily to Chardonnay and Pinot Noir. 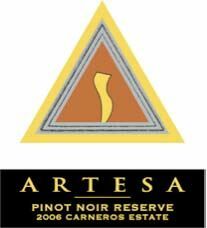 Artesa produces both a Classic Tier and Reserve Tier of Pinot Noir along with Limited Release Wines as vintages dictate. Codorníu sparkling wines are also available and distinguished (1,000 cases). Total production is 60,000 to 80,000 cases of still wine per year. The wines are available for sale in the winery’s visitor center, on the website and through retail distribution channels. Four wine tasting experiences are offered at Artesa Winery including a private tasting with the winery’s wine educator, an intimate wine and cheese tasting, a unique vineyard tour and tasting, and an exclusive barrel room tasting of the winery’s best, very limited wines. Call the winery at 888-679-WINE for availability and appointments. The tasting room is open daily from 10:00 to 5:00. Voted best tasting room in Napa by readers of The Bohemian newspaper. Artesa wines can also be sampled at Cornerstone Place in the town of Sonoma.